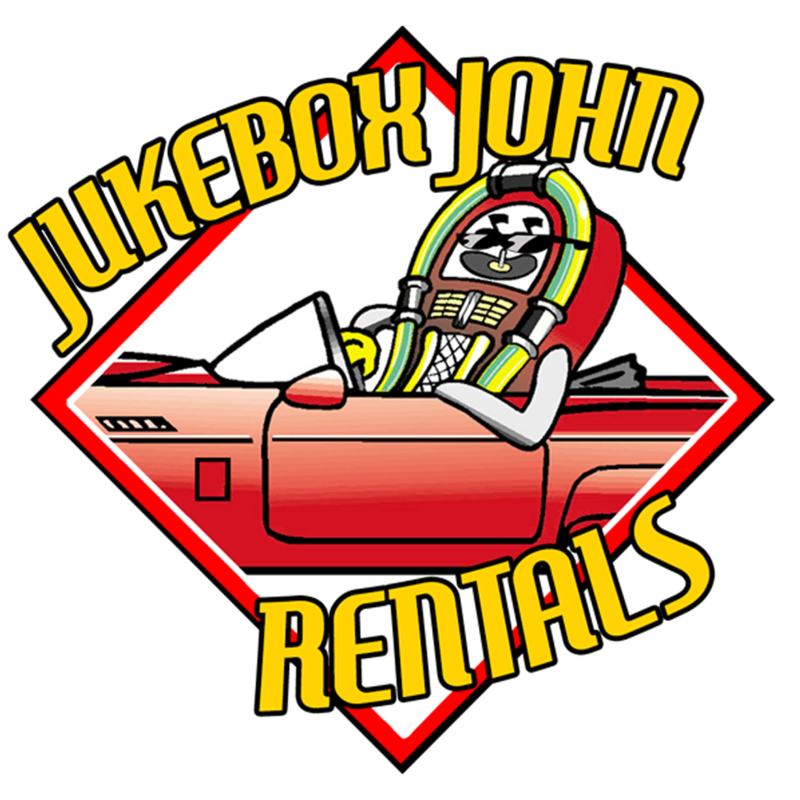 Jukebox John Rentals, overnight jukebox rentals for your party, PA NJ DE Tri-State area. Why JBJ. John McCann, the founder of Jukebox John’s, provided music entertainment for parties going back to 1966 as a band leader, disc jockey, and, starting in 1987 as Jukebox John Rentals. In June 2017 John decided to retire and leave the business to his son, Brian. Brian has worked with the company since it’s inception as a child, washing the trucks and various other duties and eventually evolving into a full time employee delivering the jukeboxes and handling office duties. Brian intends to carry on the business in the manner his father has with integrity and 100% dedication to customer satisfaction. We know how important it is that your jukebox be there on time, in excellent working order, with your favorite music, and that everything be as you expected. The jukebox has a volume control, reject button to cancel the song currently playing, and a clear button which allows you to clear out the songs your guests have selected and start over. This is especially useful at times where you’d like to play songs at a certain time, such as "Happy Birthday". We know that if you have questions during your party, you want to be able to reach someone at Jukebox John’s, so we always have someone available for you to call. We know that you would like the music selection to be a variety of the most popular songs. And last but certainly not least, we know that you want a real console model jukebox, not a smaller unit intended to be mounted on a wall or table top with separate speakers attached, or simply a computer with speakers attached, as you might find elsewhere. Jukebox John Rentals is the original, and largest jukebox rental company in this area. We offer real jukeboxes, and a great selection of music from over the years. We feel it is very important to rent jukeboxes legally, so we maintain current public performance licenses with the Jukebox License Office covering ASCAP, BMI, etc, and yes, we use only legal music. We have two delivery vehicles, and always have a serviceman with a spare jukebox on call during parties just in case it is needed, although that is rare because we keep our jukeboxes in excellent working order. There occasionally are other small copycat outfits who try to imitate us, but the truth is, they probably use unlicensed jukeboxes and risk heavy fines with illegal CDs or music files, and have little or no experience with parties, music, and jukebox maintenance, and probably do not even have real console model jukeboxes available to rent, and if their one delivery vehicle is in the shop, have no way to get the jukebox to you. They may not even be in business by the time your party date comes.